Join us for a 3 Day cutting edge, transformational experience and training, where you will learn the tools and processes to find and transform self-limiting beliefs for yourself and others. This is a hands on training where you will be learning about and changing limiting beliefs during the event. Yours and others. You will be able to use the designation PSYCH-K Facilitator upon the completion of this workshop. Space is limited to 15 people. Reserve early. Did you know that according to science we operate out of the subconscious mind 95% of the time, and most of our actions are based on our subconscious programs and beliefs? That most of these beliefs have been created when we were very young? Create the life you want, and help others to do the same. Achieve greater freedom and happiness, personally and professionally..
PSYCH-K® is able to assist in an immediate shift of perspectives, beliefs and programming, because it works at the deeper, subconscious levels of the brain, where 95% of our thoughts, feelings and actions originate. The change processes involve activating and integrating both sides of the brain, and is based on a cutting edge whole-brain research. The way you look at life will never be the same again as you explore your own programming from birth and begin to understand how subconscious thoughts drive behavior, thought processes and the effects it has on one's external world. 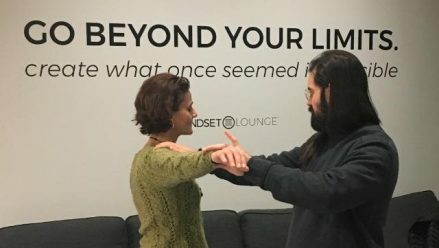 You’ll be changing your own limiting beliefs during the training, and learn to work with yourself and others, so you can help people with changing their limiting beliefs as well. Create beliefs that support one having healthy, loving relationships. Increase self-confidence and willingness to take positive and decisive action in life. Discover beliefs that can help one to deeply appreciate and accept themselves. Reduce “emotional stress” and program the body /mind for optimal health and vitality. The space is extremely limited.